Gina's roots began in Northern California born and raised in the bay area. Gina has a home based art & design studio dedicated to creating custom artwork and graphics for print, apparel and licensing. Her education began with a BFA degree in Fashion Illustration from the Academy of Art Univ. in SF. Gina has since moved and now lives on the East Coast providing her distinct style of art to business owners, manufactures, education establishments, corporations, galleries and individuals with promotional material, textiles, products, and art classes throughout the NJ/NY Tri State Area. In addition to creating Gina continues to develop and build her services to now include custom printing for t-shirts, sneakers, caps and other promotional items for Events such as Bar/Bat Mitzvahs, Sweet 16's, Weddings, Corporate, Store Openings, Fashion Shows, Retailers, etc. Gina's designs come to life through a combination of modern and traditional techniques consisting of an acrylic painting, drawing, airbrush and digital enhancements. 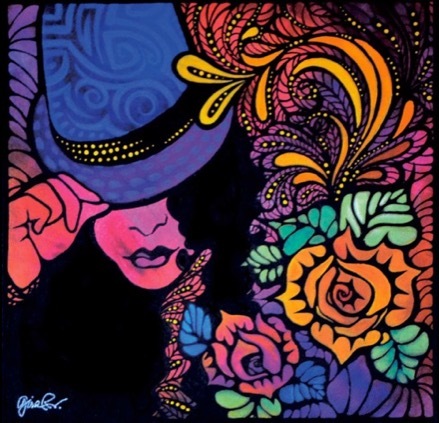 Her creations are inspired by her passion for an eclectic blend of fashion, rich cultures, exotic textures, beauty and vibrant color and can be found on various products for purchase! Custom Converse - Custom Converse By Gina are made to order per your specifications. 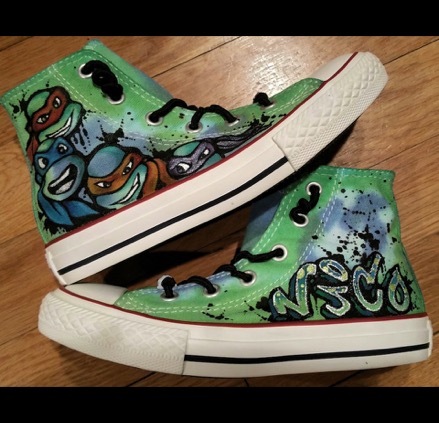 Gina designs your individual sneaker for your special event with your logo, favorite sports team, popular subjects & colors, etc., with hand painted dyes and paints appropriate for canvas or leather sneaker. Let the Bling lead the way with Swarolvski Crystals let the design itself set you apart without all the glitz! Please allow 3-4 weeks from time of placing order! cutting edge designs...artwork is fresh and distinctly unique! appropriate for all printing formats and display purposes. Fashion apparel; Sneakers, T-shirts, caps, textile design..., etc. 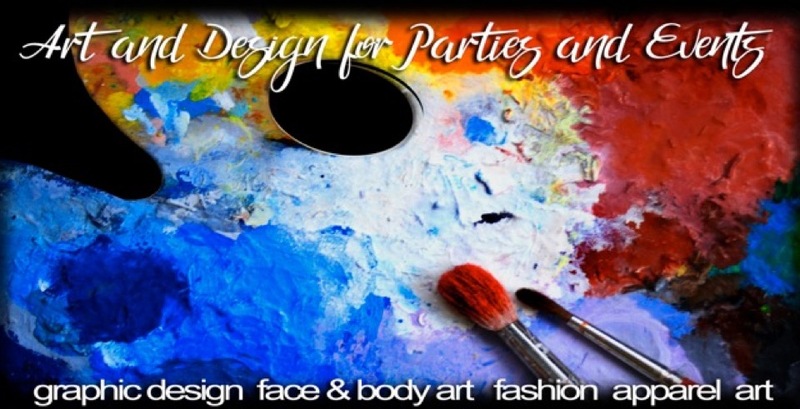 Gina Rivas Design specializes in Custom Art, Design & Entertainment for parties and special events! Our Custom Bling Body Bar will “wow” your guests of all ages with Temporary Tattoos appropriate and appealing to male, female of all ages. The tattoos last up to 5 days and can be placed on the arm, back & ankle for best results. We use only FDA approved, cosmetic grade products with enough Bling and Crystals to outshine and light up any room! Matte Black for those who prefer the realistic look with no Bling. In addition to our entertainment services we offer Custom Art & Design for your logo with finished art ready for production and coordinate with printer for favors, apparel, banners, sign in boards, custom apparel, and temporary tattoo art! 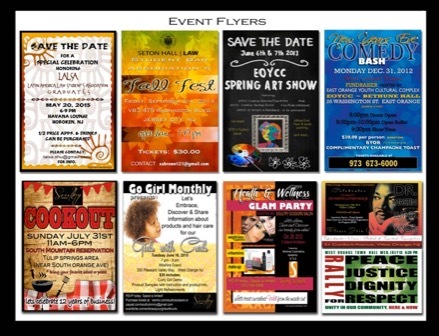 We specialize in a wide range of events such as Mitzvahs, Quinceaneras, Sweet 16’s, Baptisms, Birthdays, Corporate Events and more… Our graphic design services consist of printed apparel, embroidery, rhinestone apparel, custom sneakers, hand painted sign in boards in preparation for your party. We stay on the cutting edge with our research, enthusiasm and creative talent to set you apart and bring your vision to life like no other…hire us to join your team and lets get started!